I've managed to keep up with my Bee Inspired bee blocks up until now, but I'm late making the right facing poodle block for Karen at Tu-na Quilts. The fabrics have been picked out for the poodle and now he needs to come to life! I enjoyed Karen's tour of Paris, the wonderful cutting chart she provided in this post and all the assembly tips she provided over her 8 days in Paris. I think I was intimidated by the cutting and number of pieces required. 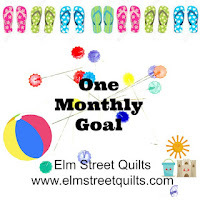 I've decided to declare making the poodle block for Karen my August One Monthly Goal and will be linking to Patty at Elm Street Quilts. Have you set your One Monthly Goal yet? I am way too scared to even think of August and the finishes or starts I have!!! Keeping warm, fires stoked up, and warm meals at lunchtime are quite enough for now!!! Oh that poodle block looks great so am looking forward to seeing your version. All the best, it will be gorgeous. Paige, I love the fabrics for you poodle. I would be afraid of all the pieces too. Glad it is your August goal and can't wait to see it finished. I am off to decide what my goal will be for August. Those fabrics will be splendid as a poodle! It's such a darling block and I'm really looking forward to seeing all the pooches together in one quilt. Love the fabrics - they are the type I'm going to need for a possible commissioned quilt. You'll do great with the poodle block! That's going to be a fun goal to meet! I have yet to decide what to finish--too many choices--lol! It's a fun block ! Good luck with your goal ! Good luck with your poodle block Paige, it's certainly not the easiest block in the world. But it will be beautiful and well worth the effort, especially with those fabrics. 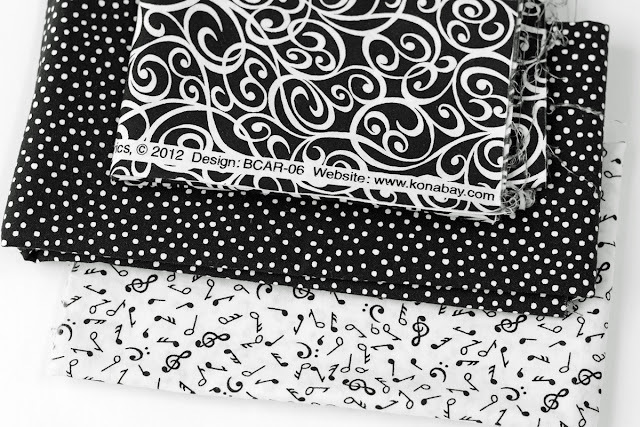 Love your fabrics! This block is a good goal--there are a lot of pieces. It looks great when it's done, though. Good luck! 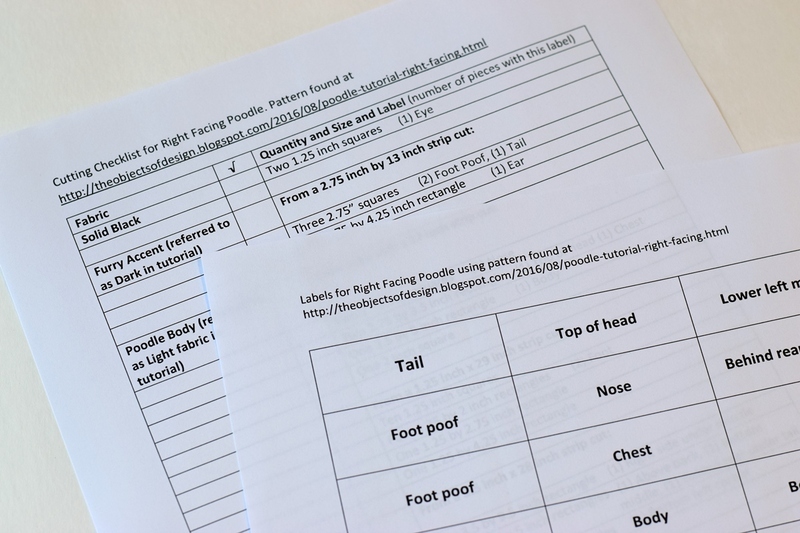 Looks like your fabrics will make an adorable poodle! Hope you have a fun month with your goal.